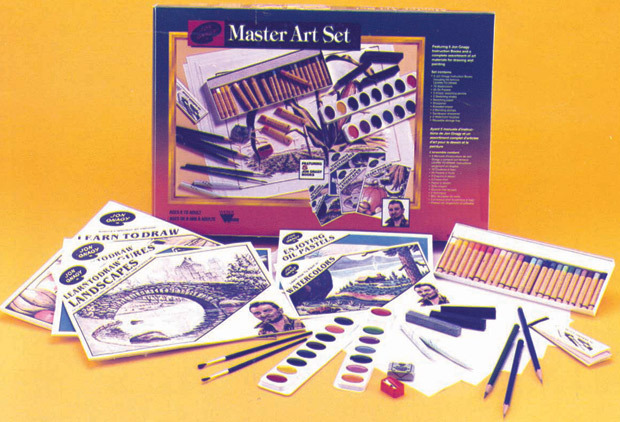 * Drawing, sketching, oil pastels, all introduced in this super value art set. * Jon's superb books and instructional materials will start any interested beginner on the road to success in creative expression. * Ages 8 to Adult. * The set includes 25 oil pastels, 16 watercolors (8 primary and 8 pastel), 2 paint brushes, 3 sketch chalks, kneaded eraser, sand pad sharpener, 3 pencils, blending stump, storage tray, sketch paper, 5 Jon Gnagy Books.